The leaf of Hulk high speed roll-up doors is made of strong Ryan polyester (700 1,700 g/m2) with transparent inserts, for a clear view through the doors. They have high handling capacity with minimum heat losses. Due to the high operation speed of the doors the required indoor microclimate is well preserved even during high intensity usage. The possibility of regulating the opening/closing speed of the doors in a broad range permits to fine tune their working according to the requirements. 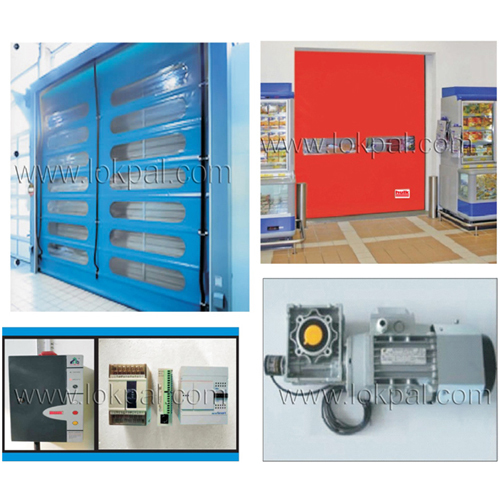 The door leaf design does not have rigid elements, which provides their operational safety. The doors possess a function of "self restoring" if the door leaf drops out of its tracks, for example, in case of a blow by the loader, the system of automatic "Restore" returns the leaf into its tracks during the next cycle. The framework and all casings are made of aluminum alloy. The design modularity allows an easy replacement of separate door elements. Both sides of the doors are fitted with optical protection switches. The door automatically return back if the infra red beam is broken/blocked. 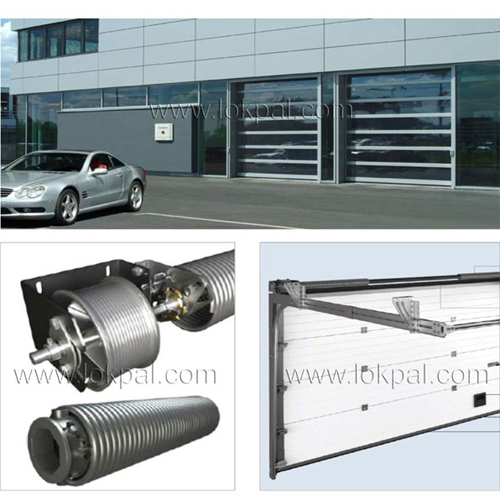 The LOKPAL Industrial overhead sectional door has many features such as heal insulation, wind proof, easy and convenient to operate, and good security. 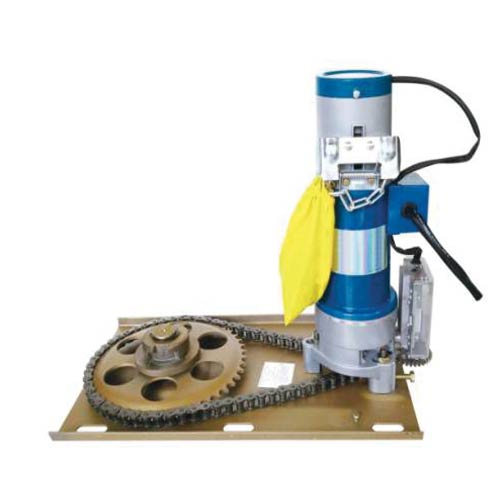 They are widely used in workshops, Warehouses, and high headroom buildings. Controls : These can be controlled by manual pull chain, remote controls, push buttons, radar sensors magnetic loops or infrared sensors. Safety : Rope break and spring break safely devices are fitted to the equipment to prevent the door from falling suddenly in case of the unlikely event of a wire rope or spring break. Worldwide Quality : High quality material, good heat preservation effects. The door panel is made of high quality galvanized steel with foam inside. Insulation materials with durable, Sound insulation and good thermal insulation. The surface is sprayed to effectively prevent corrosion. LOKPAL'S New Anti-pinch Automatic Garage is a new product incorporating advanced technology and hi-tech equipment. It is fully humanized design, modernistic & up market in appearance. It is suitable for the garages of high-class homes. The connecting joints and parts are carefully treated by plastic coating. They are aesthetic and fashionable. The balance system and driving system are customized according to the size of your garage door which makes the door work more smoothly, it guarantees a high-quality garage doors and prolongs the lifespan at the same time. Hulk Garage doors are fitted with tension springs on both sides with a torsion spring anti-shutdown protection Device. 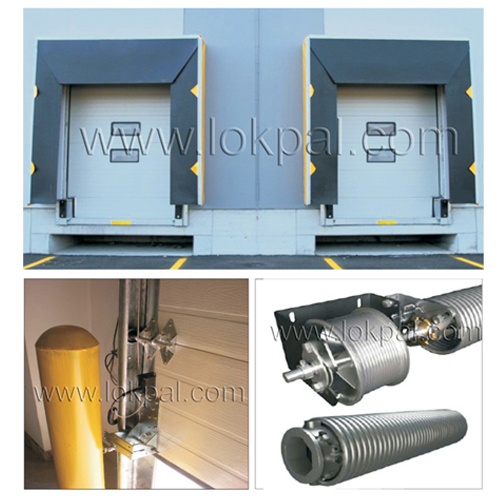 Once the torsion spring is broken, the protection device will prevent the door from falling. Adjustable patented, solid wheel bracket and security tracks to avoid the door from being derailed, so that the door can be safely slide in the ceiling track. The door flaps are specially designed with Anti Hand trap function, so that there is no chance of accidentally “ Pinching of fingers” between the hinges. 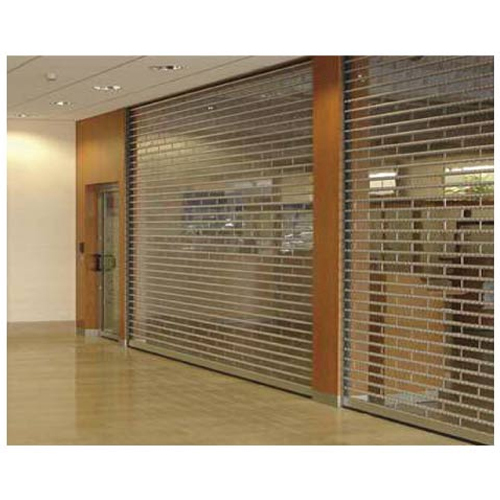 Polycarbonate Rolling Shutter is intended for industrial use. UV protection: Can effectively cut off 80% of the sun's ultraviolet. Sound insulation: 3 -4DB better than glass. Heat insulation: 10 times better than ordinary glass. Environment -friendly: Comply with ROHS, the PC could be recycled. 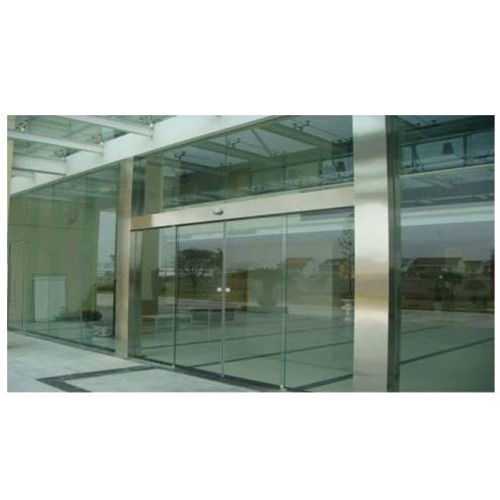 Automatic Sliding Door is intended for industrial use. Rolling Shutter Motor is intended for industrial use. Electro mechanical gear motor with integrated electronic limit switch and safety limit switches. Anti fall safety lock in case of drive chain break. Manual chain override in case of power failure. Push buton with key lock stainless steel case. 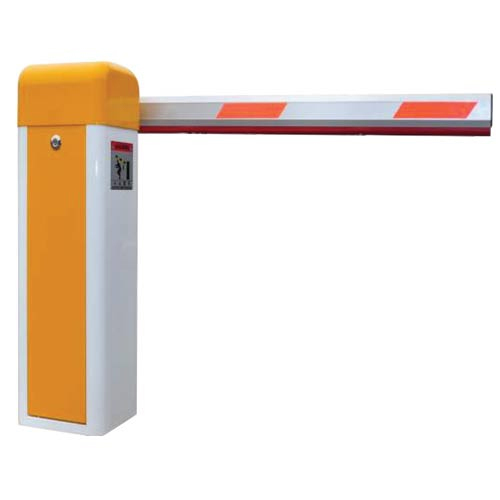 Boom Barrier is useful for lifting material from racks. Inbuilt micro processor based intelligent controller. Electromachnical gear motor with integrated. Electronic limit switches, springs for boom counter weight with adjuster. Heavy duty steel body with powder coating. Rectangular shaped boom with caps and coverings. Manual operation by hand in case of power failure. MOTOR POWER SUPPLY "230VAC 50HZ" "230VAC 50HZ" "230VAC 50HZ" "230VAC 50HZ" "230VAC 50HZ"
DUTYU SE "INTENSIVE USE" "INTENSIVE USE" "INTENSIVE USE" "INTENSIVE USE" "INTENSIVE USE"
OPERATING TEMP "-300 C TO + 600 C" "-300 C TO + 600 C" "-300 C TO + 600 C" "-300 C TO + 600 C" "-300 C TO + 600 C"
Packing size WXLXH (cm) Barrier, Boom "35X106X27, 12x300x12" "35X106X27, 12x400x12" "35X106X27, 12x500x12" "35X106X27, 12x600x12" "35X106X27, 12x300x12"
Gross weight Barrier, Boom "60Kg,12Kg" "60Kg,15Kg" "60Kg,15.250Kg" "60Kg,15.500Kg" "60Kg,12.500Kg"
Throughput: 12 to 15 persons per minute with access control. Rotor Arm height from Ground: 2000 mm. 90 deg. stop (4 Arms). Positive action lock is provided to prevent multiple persons access or exit. Anti-back up device to prevent reverse rotation after 25deg. The structure is made of heavy gauge mild steel round & Square pipe with epoxy powder. 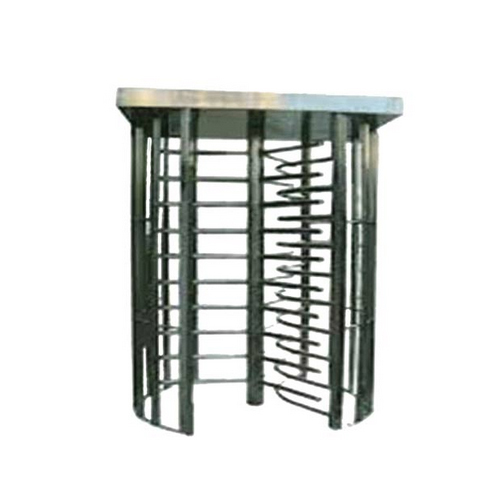 coated finish or stainless steel bars to ensure long trouble free. operating life and requiring minimal maintenance. A Self-centered mechanism with hydraulic damping to ensure Complete rotation of the tripod head to reset position. Temp. Range: -5 deg. to 55 deg. Centigrade. It has side handrail to prevent forced side entry of persons. Pass speed 30 per / min. Water proof & dust proof. Installation place out door & In door. 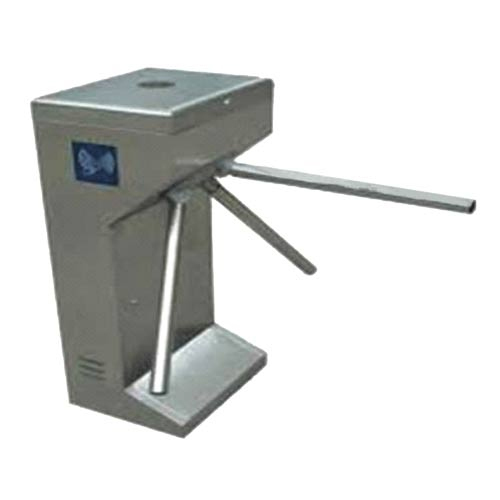 Tripod Turnstile is useful for lifting material from racks. Outside housing 304, stainless steel. Power voltage : AC 220V 10%, 50Hz. Use in Offices, malls, Hospitals etc.